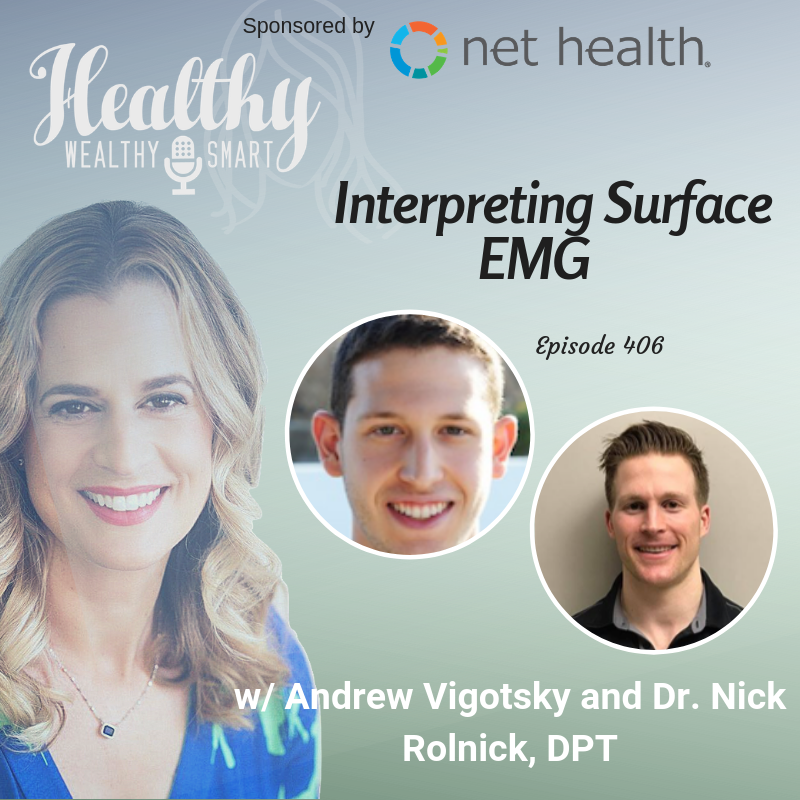 On this episode of the Healthy Wealthy and Smart Podcast, I welcome Andrew Vigotsky and Dr. Nick Rolnick back on to the show to discuss Andrew’s paper, Interpreting single amplitude in sports and rehab sciences. Andrew is currently a PhD student in Biomedical Engineering at Northwestern University, where he studies neuromuscular biomechanics. He has published papers in areas ranging from rehabilitation to surface electromyography methodology and biomechanical modeling. His dissertation works aims to understand the neuromechanical implications of muscular heterogeneities. Dr. Nicholas Rolnick, DPT is a licensed physical therapist, the founder of the Human Performance Mechanic and the co-founder of Blood Flow Restriction Pros. He received his Doctor of Physical Therapy Degree with academic honors from Columbia University in New York City. Through his work as a physical therapist his goal is to keep his patients in perfect balance, have the skills to recognize asymmetries and help patients enjoy the benefits of pain-free movement. He teaches across the United States as a clinical instructor for SmartTools Plus and is an adjunct faculty member at Concordia University – Chicago where he teaches Kinesiology I and II in their MS Applied Exercise Science Program. He also speaks nationally and internationally on the use of blood flow restriction therapy for various diagnoses and populations. He has been featured on The Mind Muscle Project Podcast, Highly Functional Podcast, The Muscle Medicine Podcast, The Missing Variable Podcast, the PTA Tapes Podcast and the Alinea Podcast. He currently lives and works in New York City. Vigotsky, Andrew & Halperin, Israel & Lehman, Gregory & Trajano, Gabriel & Vieira, Taian. (2018). Interpreting Signal Amplitudes in Surface Electromyography Studies in Sport and Rehabilitation Sciences. Frontiers in Physiology. 8. 10.3389/fphys.2017.00985.